Electronic health records are widely regarded as the 'connective tissue' of any modern healthcare system. For some they represent a 'dangerous enthusiasm' and for others a key enabler of 'disruptive innovation'. Many governments have made major policy and financial investments in digitalizing health records but their implementation has frequently run into opposition from doctors, had lukewarm responses from patients, and raised considerable concerns for privacy advocates and others worried by the security of sensitive health data and the risks of national data-bases.This book draws upon the concept of 'orders of worth' to reveal the moral dimensions of the medical division of labour and to delve deeper into understanding why electronic records have been so difficult to implement and the sources of opposition to them. The authors argue that digitalization disrupts the moral orders which define rights and responsibilities for the sharing and exchanging of patient medical data. This is illustrated through longitudinal studies of two of the most controversial attempts to introduce national systems - a patient controlled electronic record in Australia and a national summary care record that was part of the ill-fated NHS national program for IT in England. The authors conclude by using the lessons from these national experiences and insights from two regional projects in each country to suggest how the idea of electronic records might be re-thought. 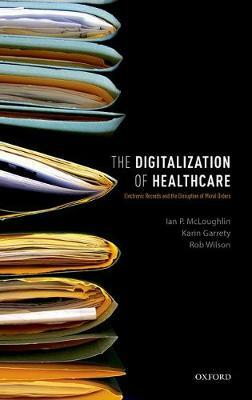 It is a must read for anyone concerned about health information and the implications of how it is shared and exchanged in a digital world.